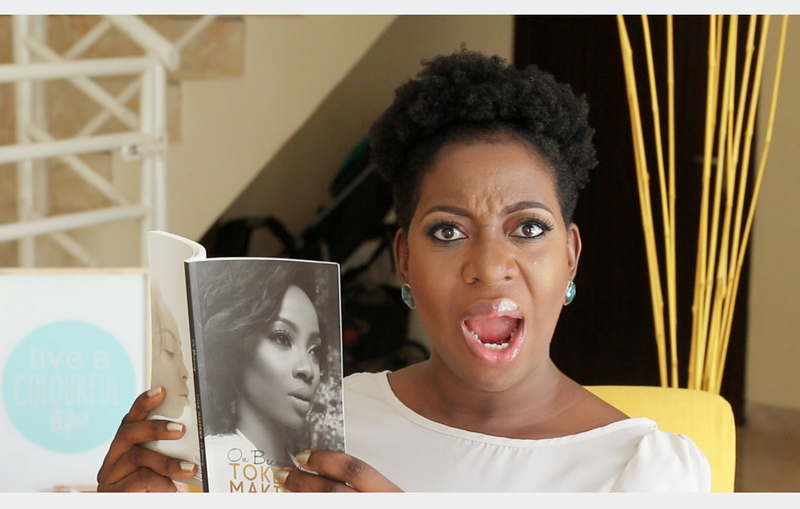 TOKE MAKINWA "ON BECOMING" - CHAT & BOOK GIVEAWAY!!! I have been getting a lot of requests to talk about Toke Makinwa's book "On Becoming"....this is it. I'm shook! She spilled the tea on Maje Ayida and Anita. Have you read the book? It is the rave of the moment and the gist there hot pass the comment section of gossip blogs! I will be giving away the book so if you want a copy then follow the simple giveaway rules below. I can't wait to win this mbok. Edakun. Hahahahaha! Your facial expression in the pics tho! Read excerpts from the book and I was weak, what will now happen when I read the book, I can't wait to. Sisi, that yellow couch is everything! Would it be asking too much for a tour of your home as I'm hoping to steal styling ideas or a post dedicated to interior decor. Keep up the good work. You're amazing! Toke tried o. I cannot imagine going back over and over and over and over and over to someone who treated her like Maje did. I have to say though that I originally thought she would write extensively about her career and how she rose to where she is now. I wasn't expecting that the main focus of the book would be about her relationship. It just kinda makes the book feel incomplete.